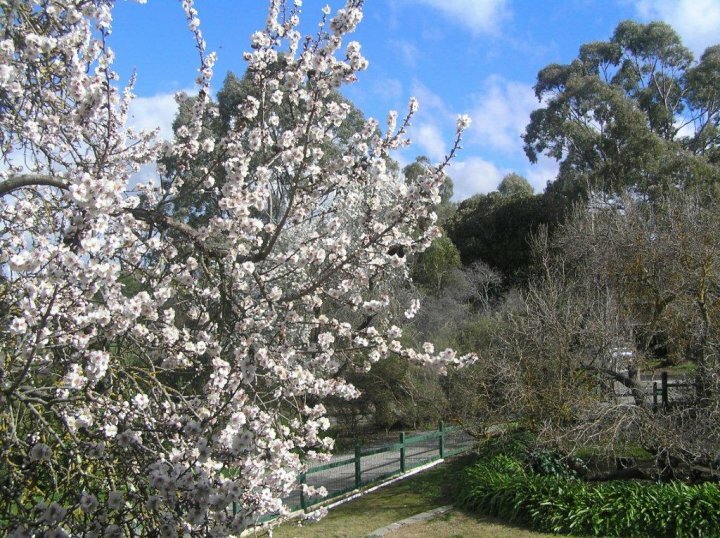 Central to the Clare Valley wine district 1.5 hours north of Adelaide, nestled in the peaceful colonial township of Mintaro, you will find Devonshire House. Built in 1856 as the Devonshire Hotel, this 4 star residence provides 3 luxury self contained suites for discerning guests as well as the Long Room, a unique hall type room with two double bedrooms for couples travelling together. 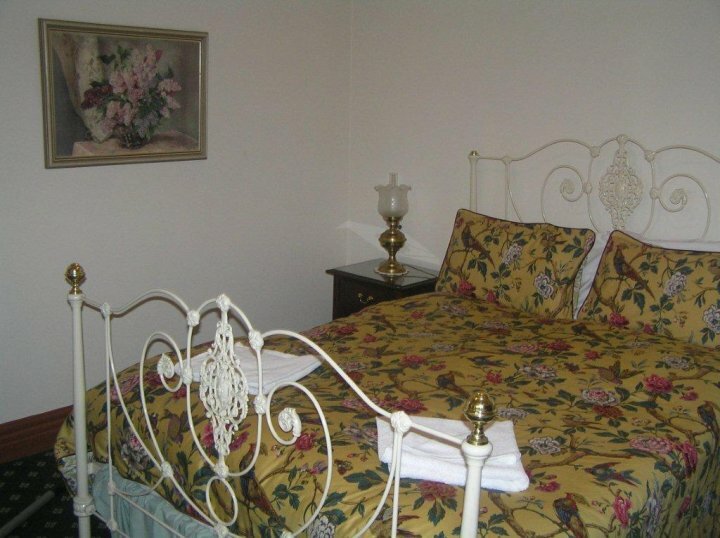 Each suite comprises romantic bedroom with antique queen size beds, quality bedding,large 2 person spa in superior bathroom. Fully equipped kitchen with provisions for cooked or contintental breakfast. Reverse cycle airconditioning/heating and cosy open fireplace(wood provided)as well as TV/DVD in each private lounge. The property also includes guest laundry and terraced patio with bbq facilities overlooking large private garden. 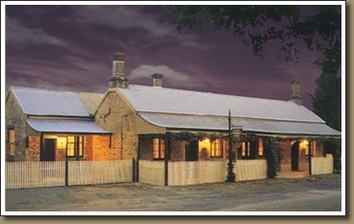 Devonshire House is the ideal base to explore the many attractions the Clare Valley has to offer. Experience the history and charm of a bygone era. Ideal accommodation for that special romantic occasion or group bookings deliberately limited to 10 guests at any one time. 3 Luxury self contained suites for discerning guests. 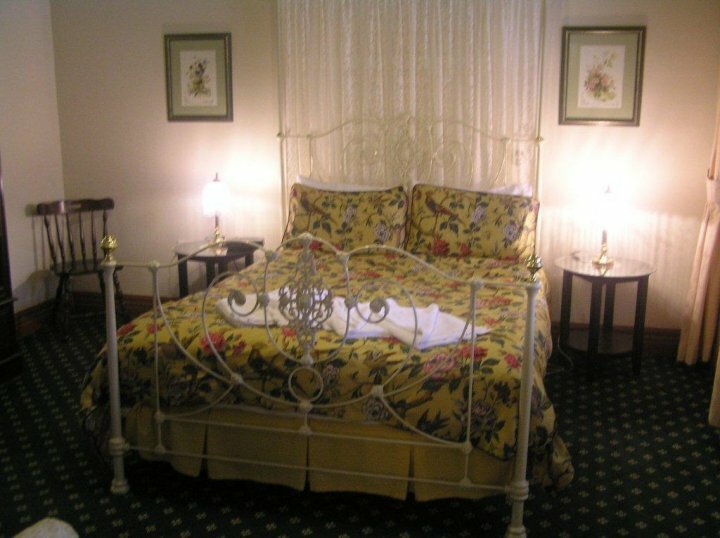 Each suite comprises a romantic bedroom with antique queen sized beds, quality bedding, large 2 person spa in superior bathroom. Fully equipped kitchen with provisions for cooked or continental breakfast. Reverse cycle air conditioning/heating and cosy fireplaces(wood provided) as well as TV/ DVD in each private lounge. 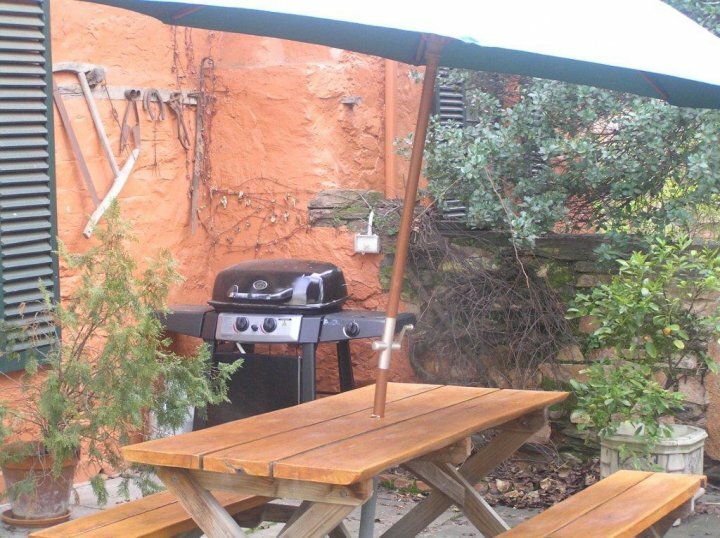 The property also includes a guests laundry and a terraced patio with bbq facilities overlooking a large private garden. 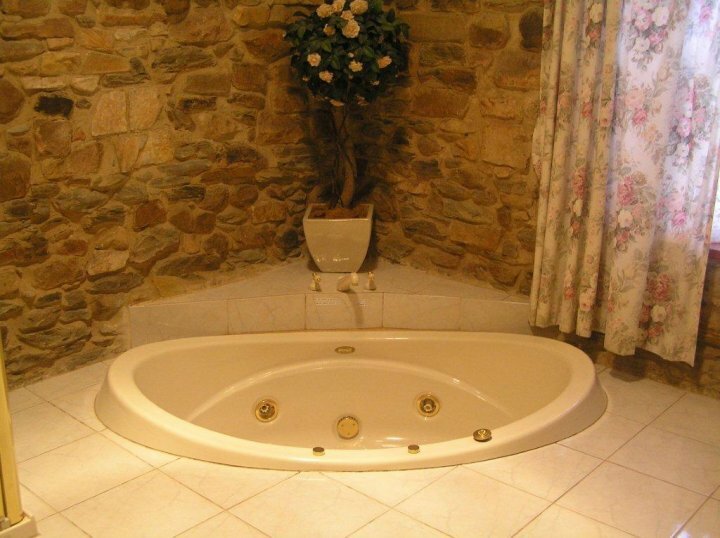 Luxury bathroom with large two-person spa. romantic bedroom with antique queen size bed. large living room with open fireplace, air-conditioning for year round comfort, fully equipped kitchen with provisions for cooked breakfast, terraced patio with barbecue facilities overlooking, large private gardens, guest Laundry. Devonshire house is for relaxing not for business. On site parking in front of building. Travelling north from the town of Auburn turn right at the Mintaro turn off at the village of Leasingham. Continue on this road for approx 11 ks until entering the main street (Burra street) and Devonshire house is beside the post office. Famous Martindale Hall 1.8ks south. Mintaro Wines/cellar door 200m south. Reilly's Wines/cellar door 70m north. Magpie and Stump hotel 70m north. 20 plus quality winery's within 15ks. Ride/walk the famous Reisling trail. Picturesque touring on quiet local roads.